BuTech is a leading manufacturer of high pressure valves, tubing, adapters and fittings. These quality products have a wide applications in the oil, natural gas, chemical and petrochemical industries as well as water jet cutting and blasting, aerospace, marine, government and specialty industrial markets. BuTech valves withstand harsher environments, higher internal and external pressures and corrosive materials for extended service. 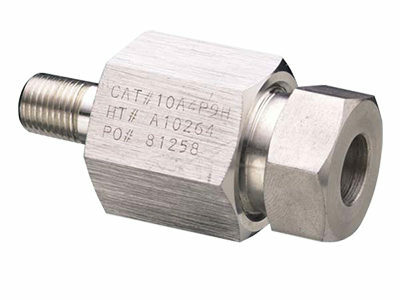 Specific applications include laboratories, refineries, food processing, pilot plants, offshore drilling platforms (down-hole control systems), general industrial and specialty manufacturing, instrumentation, hydraulic and pneumatic piping, chromatography, gauge shut-off and vent, control panels, high purity systems, chemical research, water blasting, water jet cutting, gas analysis, test stands and moderate vacuum systems. BuTech products operate in the range of 6K – 150KPSI. BuTech products are manufactured by Haskel, known throughout the world as the most customer-focused, value-driven provider of engineered, high pressure liquid and gas handling equipment.